Today’s list focuses on the best states for civil engineers, places which offer solid employment opportunities and paycheck that secures comfortable living. In describing civil engineer’s work American Society of Civil Engineers emphasizes that these professionals lay foundations for the privileges of modern society, while also reminding us that we should thank them for water running from tap, traffic lights, recycling and many other everyday conveniences as well as for beauty of buildings such as the Golden Gate Bridge or the Eiffel Tower. Bureau of Labor Statistics (BLS) recognizes 18 engineering occupations among which civil engineers represent the largest group. There are 281,400 people working in this field and BLS estimates that their number will grow by 8% for the period between 2014 and 2024, which is as fast as the national average for all occupations. In number terms, it means that around 23,600 new jobs will be added so recent graduates should not worry about lacking career opportunities. Educational requirements for the occupation include BA degree in civil engineering or related field. In addition, these workers usually need a degree from ABET accredited program in order to obtain professional engineering license. Although further education, i.e. master degree is not mandatory, it gives young people competitive advantage on job market especially having in mind that one in four employers prefer to hire MA degree holder for the positions which were normally held by employees with a four-degree diploma in the past. MA diploma coupled with work experience also facilitates career advancements and can open many doors. Civil engineers design, budget, manage large building and infrastructure projects such as roads, airports, bridges, dams, tunnels, power plants, water supply, sewerage systems, etc. Their responsibilities range from preparing engineering design and conducting feasibility study across material and soil testing to overseeing operations and making sure that projects comply with legal requirements. Compared to all engineering occupations civil engineers earn less. Their annual median salary is $82,220, with 10% earning more than $129,850. 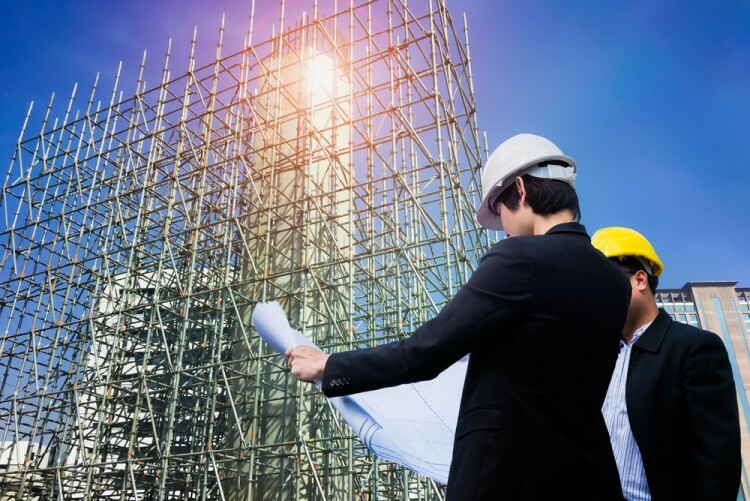 On this list, you will find highest paying states for the occupation and if you are interested in discovering which countries are super generous toward civil engineers, check our ranking of 12 Highest Paying Countries for Civil Engineers. In ranking of the best states for civil engineers we have considered three things – annual median wage obtained from BLS, data about future job growth which can be found at Projections Central, as well as costs of living determined by Missouri Economic Research and Information Center. We ranked states by each of these three criteria and then calculated an average score to come up with this list. In cases when two states had the same score, the order in which they are placed depended mainly on the annual median salary.